If you are a registered guest and would like to apply for membership, click the button below to get started. What is "Needs and Deals"? 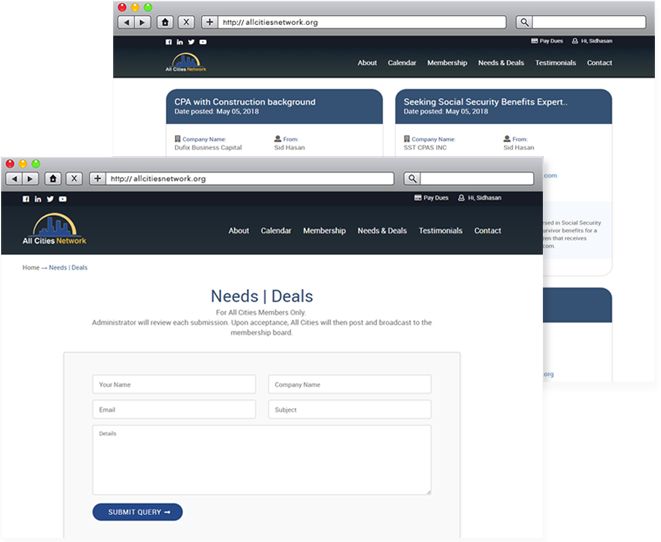 Needs and Deals is a unique feature reserved strictly for All Cities members. Using your exclusive access to the All Cities member portal. You can broadcast a specific need or deal you are working and may need help with from a fellow member. This unique feature of All Cities, brings the power of all members networks together in a way like no other. To gain access to Needs and Deals Apply Now!